For those who are looking for reward credit cards one of the most popular is travel and airline credit cards. These are really handy for those who may not put aside money for a vacation fund or who may not be able to go on vacation when they want. Everyone needs a break every now and again and for those people who use credit cards regularly but may not always think about saving for a getaway, travel and airline credit cards are a great solution. There are several types of card to choose from and you can get some incredible rewards for using them. However, be careful you do not fall into the traps for using travel and airline credit cards or you may be disappointed when it comes time to collect. How do Travel and Airline Credit Cards Work? Travel and airline credit cards are basically the same as any other credit card. You have a credit limit and an interest rate. If you charge items and carry over a balance to the following month you will be charged interest on that balance. However, there is a bonus to travel and airline credit cards. Similarly to cash back cards, you get a reward for using them. Cash back reward cards give you a percentage of you purchase back to you in cash on a periodic basis – monthly, quarterly or annually. Instead of cash, though, travel and airline credit cards work on a point system. For every dollar you spend you get a certain amount of points or fraction of points. For example, you may get one point per dollar or one point per 10 dollars. Each credit card will have different specific terms but the basic premise is the same. You accumulate these points and then when you have a certain amount you can cash them in for travel related items. Often these are based on prearranged agreements with various vendors or travel agencies. Again, each card is different so what you can redeem points on will vary widely. One of the benefits of using travel and airline credit cards is the potential to pay for airfare to your vacation destination. The way it works is as you accumulate points you accumulate miles. This is similar to a frequent flyer program. The points will translate to a certain number of miles and you can choose to pay for your airplane ticket using those miles. If you don’t have enough miles you may get a discount on the air fare but have to make up the difference yourself. With some credit cards you have a choice of airlines you can choose from. So, you may pick your favorite one or the airline that most frequently stops at your destination or has the best schedule. However, some travel and airline credit cards will restrict your choice to a few or even only one airline. For anyone who travels within those areas this may be perfectly acceptable. However, keep in mind that this may also sorely restrict your options in travel to only those destinations the airline goes to. Another common choice for redeeming points on travel and airline credit cards is to use them for accommodations. Hotel and motel stays can often be paid for in its entirety, discounted or upgraded by using the points you accumulate on your credit cards. One of the possible problems with this, though, is ensuring the hotels that are allowed for use are available to be paid for using points. Some travel and airline credit cards are only good for use at certain hotels and chains while others can be used toward any one including bed and breakfasts and hostels. Make sure, though, that you check out the specific possibilities before choosing a reward program to make sure it suits your needs. Some travel and airline credit cards have a wide variety of possibilities for their use as long as you are using it for travel related activities. For example, you may be able to use the points you accumulate toward alternate transportation costs such as train, bus or even limousine. You may be able to use your points toward a rental car for travel when you get to your destination or airport shuttles and even cab fare. Some credit cards have specials with particular destinations where you can get free or discounted tours, exhibitions or entrance fees into tourist destinations. 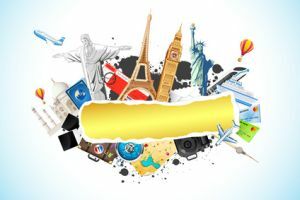 Almost all travel and airline credit cards have some limits and restrictions on use so you should be very aware of what those are before deciding on it. You may have black out dates where your points are no eligible for use. For example, many credit cards restrict the use of points for peak travel times. So, if you want to use your accumulated points toward airfare during the holidays you may be out of luck. You may also be restricted in your travel destinations, vendors you want to use and activities you can participate in while using points. Make sure you understand the restrictions before choosing one. Another common issue with travel and airline credit cards is the potential to spend more than you planned. For example, you may pay for a 5 star luxurious hotel with your reward points but it will eat away a significant portion of them. You may instead be better off paying out of pocket for an economy hotel and saving your points for something else. Another common trap people fall into when using travel and airline credit cards is overspending in order to accumulate points. Some people may increase their credit card spending to add points. Even if the intention is to divert cash purchases to credit cards and use the earmarked cash to pay the bill, many people simply do not do that and end up overextending themselves, making travel and airline credit cards not so much of a bargain.